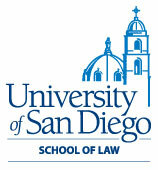 Other Graduate School/Year: SDSU, M.C.P. In the landmark case of Alcala v. Uptown District Homeowners Association 57 Cal. Rptr. 2d 349 (1996), Silldorf created a unique settlement structure to maximize recovery for his clients. Silldorf has been an active member of Consumer Attorneys of California’s legislative council and assisted in drafting Civil Code §1375, the "Calderon Statute". In the case of Jones Intercable of San Diego, Inc. v. City of Chula Vista 80 F.3d 320 (1996), Silldorf represented the City of Chula Vista. Jones alleged that the city had denied their constitutional and statutory rights when it refused to permit Jones to operate a cable television system in areas newly annexed by the city. Silldorf won a summary judgment motion and prevailed against Jones in state and federal court. He again prevailed when the case was accepted for review by the U.S. Supreme Court. The case was a victory for the City of Chula Vista, defeating a $28 million dollar plaintiff’s claim. Silldorf represented the homeowners association in the seminal case of Ranchwood Communities v. Jim Beat Construction 57 Cal. Rptr. 2d 386 (1996). This case established the law regarding unlicensed contractors and their ability to seek contribution and indemnity claims. Silldorf is a founding partner of Silldorf & Levine, LLP, a firm representing community associations throughout California. He has been practicing law for 30 years in the areas of community association representation, construction defect litigation and land use. He has recovered more than $150 million for his clients in over 50 cases throughout his career. Silldorf has been an active member of Consumer Attorneys of California's Legislative Council and assisted in drafting Civil Code section 1375, the "Calderon Statute." Silldorf is a member of the Legal Advisory Committee of the California Association of Community Managers (CACM), the 2011 editor of its law journal and a speaker and author on articles relating to community associations. Silldorf is also active in the Community Association Institute (CAI) and was recently a distinguished speaker at the CAI National Conference in Las Vegas. In 2009, Silldorf was honored by The Daily Transcript as a Top Attorney. He was recognized as one of the Top Construction Defect Attorneys by San Diego Magazine, received the Presidential Award of Merit from the Consumer Attorneys of California (1995), as well as the Presidential Award of Merit from the California Trial Lawyers Association (1994 & 1997). 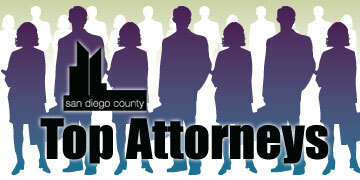 Silldorf is a member of the San Diego County Bar Association; California Association of Community Managers; and a legal steering committee member of the Community Associations Institute (San Diego Chapter). He was a member of the board of governors for Consumer Attorneys of San Diego (1995-2001); a member of the board of governors for Consumer Attorneys of California (1994-2000); chairman of the Legislative Committee on Construction Defects (1994 – 1995); and former City of San Diego Housing Commissioner. Silldorf has been married to his wife Beverly for more than 32 years. They have two sons, David and Mark. In his spare time, Silldorf is an avid golfer.